Today is the beginning of NaNoWriMo, the internet shared insanity where people commit to write 50,000 words in 30 days. Are you sitting it out again? Every year I truly want to participate in NaNoWriMo, but family responsibilities usually interfere. Already this morning I have dealt with the Brownie's seizure activity, called her bus driver, called her school, then spent time on the phone with the Vice Principal for the Leprechaun's tardiness issues due to her own chattiness in school, but also in part to the Brownie's issues which make everybody late. The Elf was in bed—unable to wake up—and I was not even ready for the day. 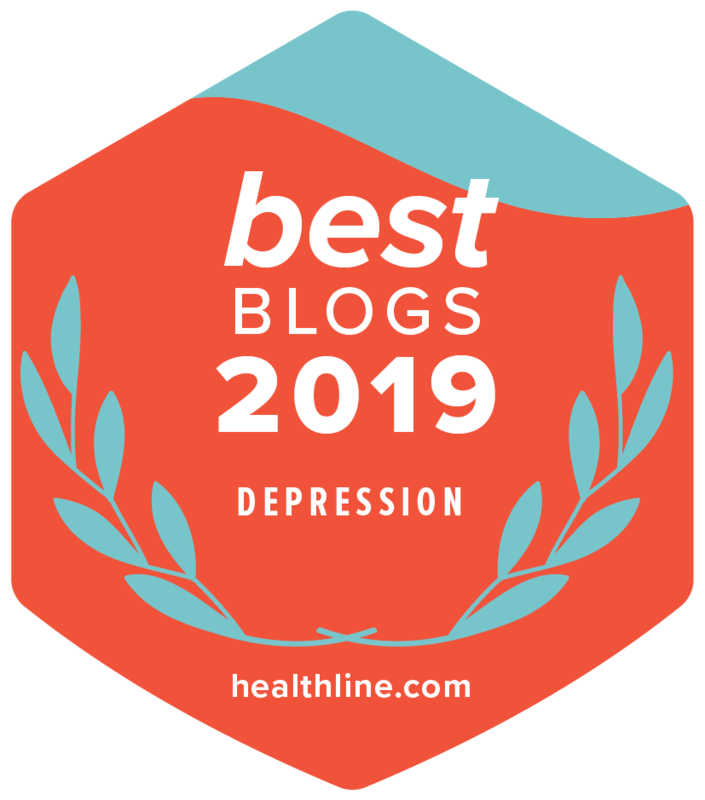 I needed to exercise to halt the broadening of my waist's horizons, I had six freelance articles to write and submit, AND it was a half school day. 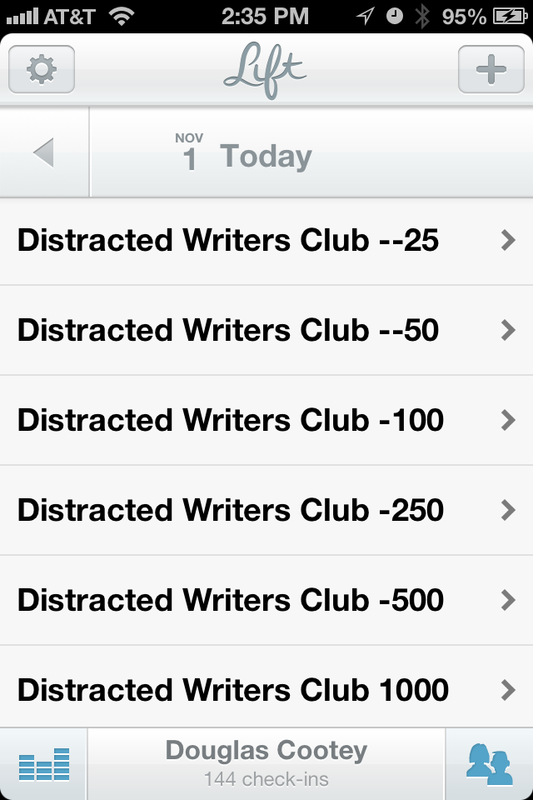 I may simply be too unorganized to manage NaNoWriMo on top of my hectic life. I've never managed it in any year that I've tried. 1667 words a day for 30 consecutive days is an enormous commitment. I'm not alone in feeling sheepish as people cheer each other on all month while I sit it out once again. But I am in love with the idea despite serious qualms about participating. Here's what I'm going to do instead. 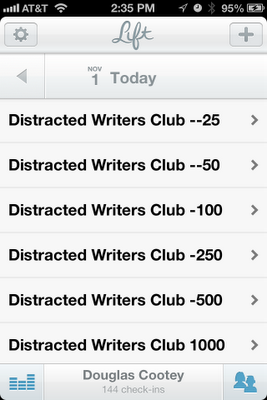 In the past I created a Distracted Writer's Club for NaNoWriMo with very pared down daily word count goals. Today I've modernized the club and taken it over to Lift. 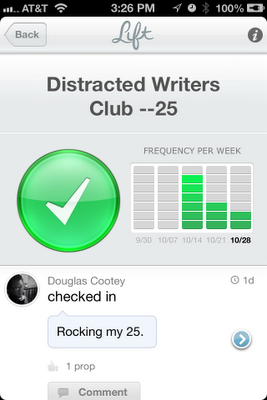 Lift is a free app for iOS that let's you choose a habit or goal and check in on it every day. I've mentioned the app before. After checking in you can leave a comment on your progress, and supporters can comment or give a thumbs up. It's an excellent way to find community support. For me, the obstacle to writing a novel is justifying the time to sit down and work on it. There is always something more "important" to do. I realized over time that the obstacle fell away the moment I simply let myself write, but getting to that point was difficult. And then, of course, there was my ADHD. 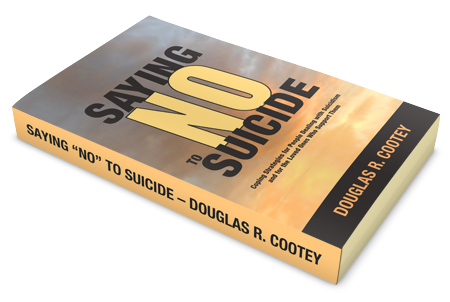 Often, I was lucky if I remembered about my book at all. If you have a problem justifying time to write, or just can't seem to get yourself going, don't worry about 1667 words per day goals. Start small. I aim to post progress in them every day. 25 words a day may seem like nothing, but think of how many days you didn't do any writing at all. Committing to such a tiny goal is easy whereas 1667 words can seem daunting, even impossible. 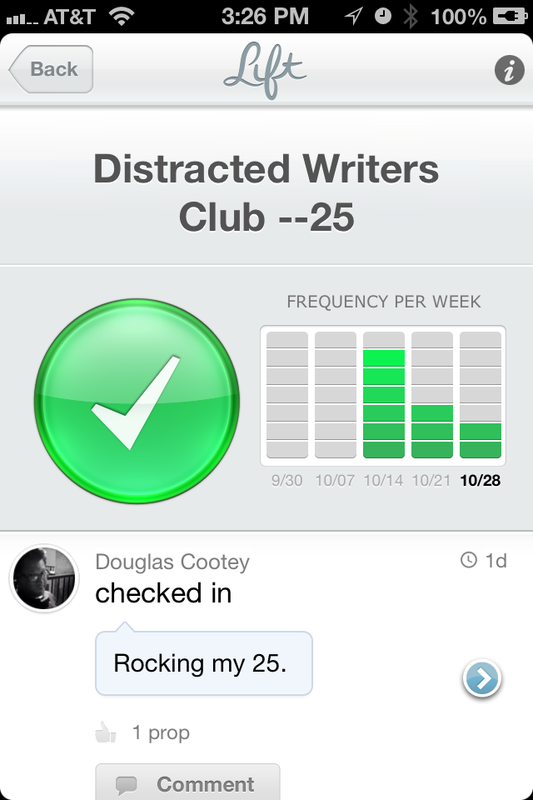 I'll start small and use NaNoWriMo to train myself to prioritize & justify writing. I may not be able to bang out 50k words in one month, but if I can work daily on my work-in-progress I will be thrilled. Download the app and add those clubs. I look forward to cheering you on. There's even a NaNoWriMo habit. Or just start small on your own. Add the small word count goals to a checklist and get busy. You may surprise yourself by the end of the day. Like what you read? Please consider leaving a tip, or sharing this post with others. Thanks!